Toddlers don’t usually come with their own toddler coping skills other than crying and hitting, so we had to help him ease into the big life change coming when it was time to move. Moving is hard on families. I moved 7 times in 6 years in college, and let’s be honest, that was a breeze compared to moving a family. We have more stuff (do you still have your college notebooks, too?). We have more valuable stuff (like great-grandma’s china). And we have little people emotional stuff. Kids have some real feelings when it comes to change. 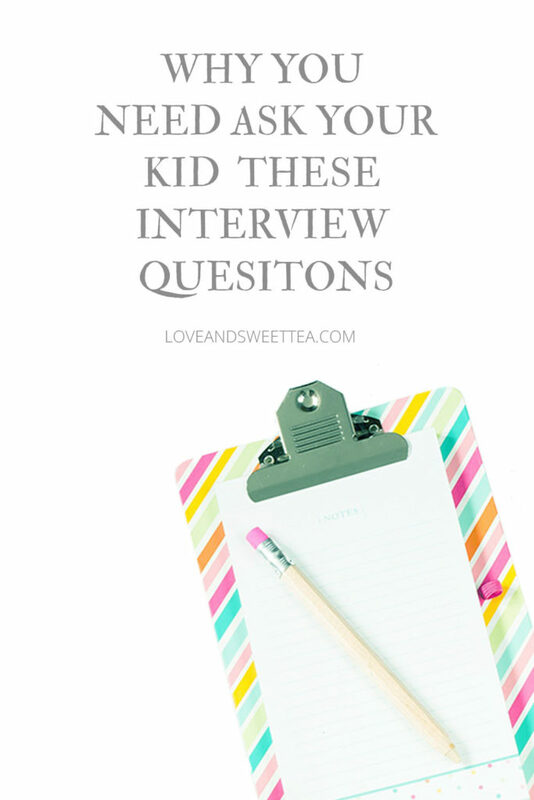 They’re people, too, and their feelings are too big for them to handle, so you need to give them kid-sized coping skills to help them get through it. And when you move 3 times in a year (like we did last year) with a 2 year old in tow, it can be almost impossible to convince them to move yet another time. And the promise of a better home/life/future just doesn’t appeal to them when they’re perfectly happy where they are (even if it’s just a family of 3 living in a bedroom). It got so sad, that my son would cry if I mentioned selling our “old house” and moving to a “new house.” It just broke my heart. Our old house wasn’t safe. It had mold. And lead. And who-knows-what-else. I am sure he understood that, too, because he told everyone “Our old house made us sick. It had mold.” The grocery bagger was super-interested, let me tell you. And even the promise of a cool bedroom or his very own swimming pool wasn’t enough to sway my stubborn little boy. Nope, he didn’t want a swimming pool. So, I chatted with my mom about it. Trying to see if I could find some old-school strategies to build up my son’s toddler coping skills. 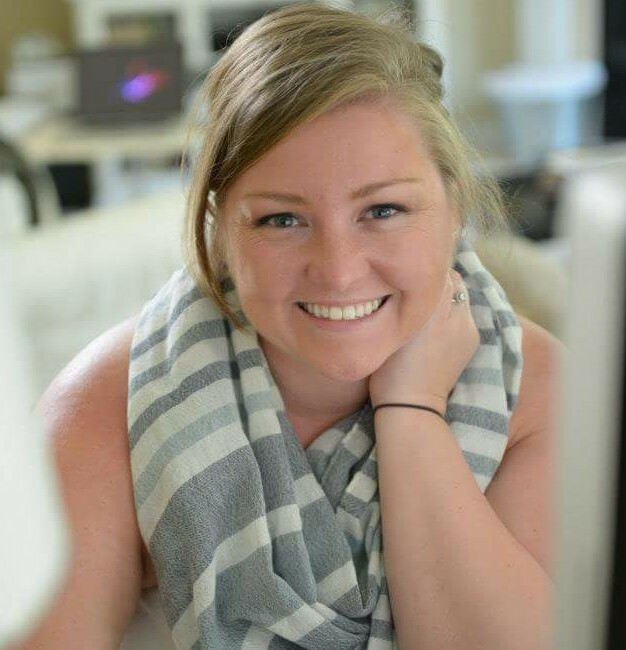 She said to start telling him stories about a little boy who was sick at his house, so his family moved to a new house that made him all better. And so I tried it. It went great. Until we got to the part about the boy moving to the new house. Then the waterworks started with lots of “but I want to live in our old house” arguments. Can’t sneak one past this 2 year old. So, then one day I was looking through photos of the house we were buying. It had a pool. And the pool had a huge rubber duckie (chlorinator) floating in it. Light bulb moment. So, that night, I told Graham a story about a rubber duckie that wanted a family. I laid it on thick. Told him how Rubber Duckie used to have a family, but they moved away. And all he wanted was a family to live in the house next to his pool. And about how a family came to look at the house to see if they liked it and he saw a little boy. And he really wanted the family with the little boy to buy the house so he could play with him. But then the family left, and Rubber Duckie was sad again. But then the family came back again! This time they were making sure they liked the house. Oh, he wished they did like the house. He wanted a family so so bad. And then the family came to the house with all their things. They stayed there from then on. Rubber Duckie had a new family and he was so happy! By the end of the story, he was sold. He needed to move into that house to take care of Rubber Duckie. 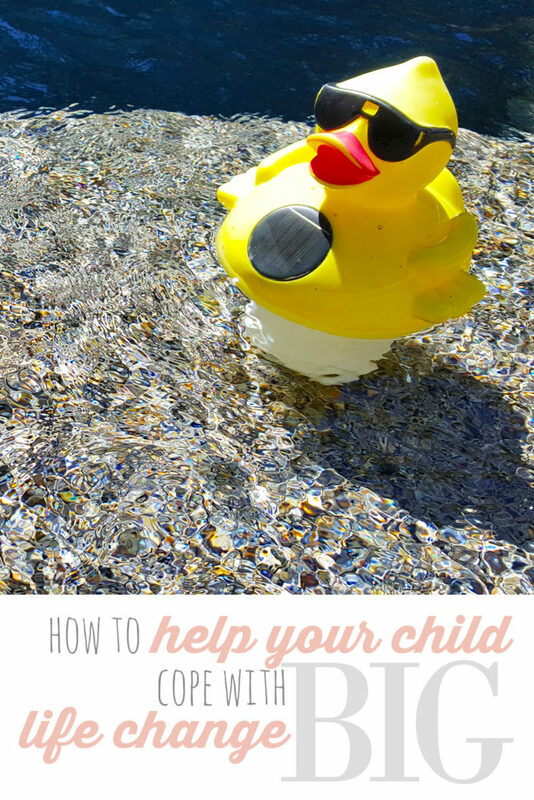 That rubber duckie needed a family and Graham was ready to be his family. We shifted from looking behind, to having a purpose in our future. Just like anyone, a need to be needed can still appeal to a two year old. And if your new adventure or life change doesn’t include a pool, don’t worry. It does include something awesome, or you wouldn’t have chosen to make the change. All you need to do is find something positive or find something with a need in your situation. Build a story around it that will appeal to your child’s need to be needed. Keep it positive as much as possible. And be patient. Change is hard. For little people and big people. They will come around. Needless to say, our Rubber Duckie has a pretty special place in our hearts. We call him Rubber Duckie for short. He saved the day for us. Now, still three months after moving into our new home (and still occasionally hearing “I want to go to our old home,”), Graham hasn’t forgotten to look out for Rubber Duckie. Our pool isn’t particularly close to the house. It’s across the yard and up on a terrace. But tonight Graham walked outside, and immediately noticed that Rubber Duckie wasn’t in the pool. He’s taking great care of Rubber Duckie. And Rubber Duckie is taking great care of us. My son is finally sleeping in his own bed after our easy cosleeping to bed transition we made in one day. It’s been a long time coming, but it’s all because of a mama trick that came to me in a spark of genius (or possibly even divine inspiration). He’s 3. When he was 1 he could sleep in his own crib until he’d wake in the night. And being the attachment parents we are, we decided bringing him to bed with us was a good idea. And it was. And then we sold our house. It was a long story, but the result was living with Nathan’s parents in their spare bedroom for approximately a year. Since we thought it was going to be more temporary than it was, Graham just slept with us. We never set his crib back up. We were just cosleeping with no bed transition in sight. And so we lost all the progress we had made in the first 2 years of Graham’s life in the sleeping department. So, just before his third birthday, we were starting from scratch in the sleeping in his own bed department. Getting my toddler to sleep quickly wasn’t ever really a problem since I always snuggled with him, and when he was extra excited, I had a trick to get my toddler to go to sleep. But neither of those were good long-term solutions. One thing we did have going for us was his age and development. He wasn’t a baby that needed hours and hours of cuddling anymore. He could hold his own for a little while, so that was a benefit of this entire situation. But here’s my moment of genius. It was his third birthday. I did everything I could to make it special. He got a yummy breakfast. He got to watch whatever shows he wanted and play as long as he wanted. But he did have to take a nap. “Yeah!” He was excited to try out his new “big boy tricks”. Like for real. Straight up worked. He slept an entire hour on his own like a big boy without his mama. Yessss!!!! This picture was actually taken on his birthday. At that first nap. I was so excited!! So, that night we tried out his big boy sleeping skills to see if he could sleep in his own bed at night, too. And what do you know? It worked! Co-sleeping to bed transition complete! Over the course of the next few days, he needed some coaxing and encouragement that he was a big boy now, and I believed in him. And now, I have nights free to work (and party). We’re testing out getting rid of the nap some days, but the days he does take a nap (glorious), he sleeps in his own bed. When he’s wanting to come to my bed, I just tell him that he can’t sleep in my bed because there’s no baby monitor for me to hear him with. And that’s usually an acceptable answer to him. I do promise to come get him and bring him to my bed when I finish my work at night, and that goes a long way for encouraging him to sleep until mom comes in to get him. And I still get to snuggle my little while he’s still little. But he gladly sleeps on his own into the wee hours of the morning without me. Sleeping baby. Happy mom. No crying needed. Needless to say, I am definitely planning on using that 3.5 year old birthday for another major milestone! 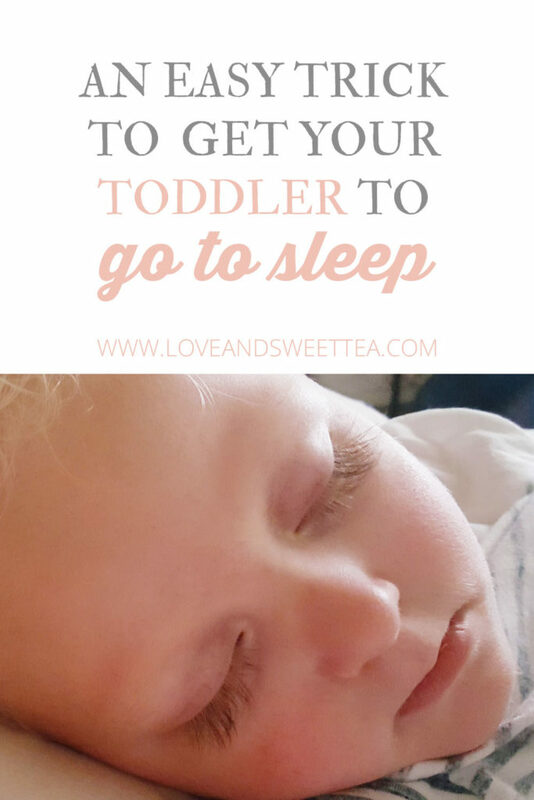 Are you having a hard time getting your toddler to go to sleep? I have discovered a really fun trick to get my toddler to sleep. 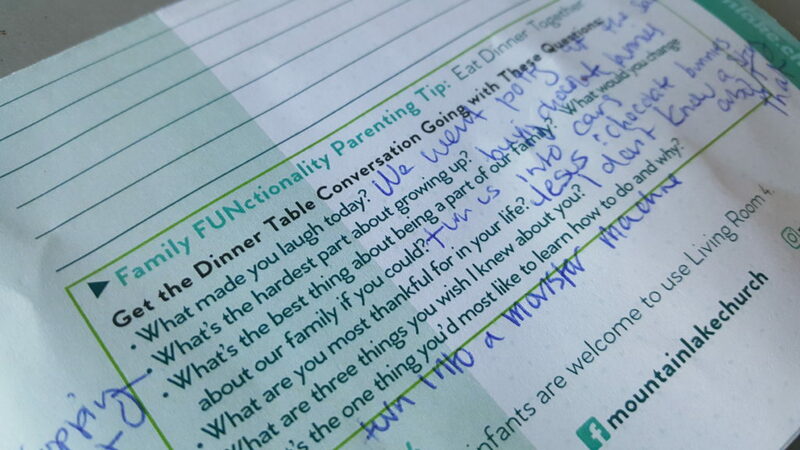 I’m far from a perfect mom, but I do have my genius mommy moments. This one of my favorite strokes of mommy genius. Who doesn’t want (and let’s be honest, absolutely need) more sleep? 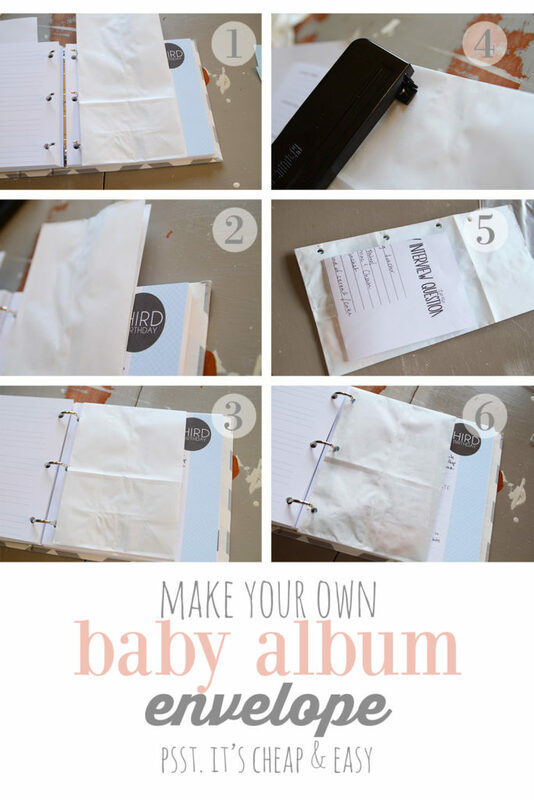 So, here’s a quick easy way to get your toddler to sleep. One afternoon my toddler and I were laying down for a nap. 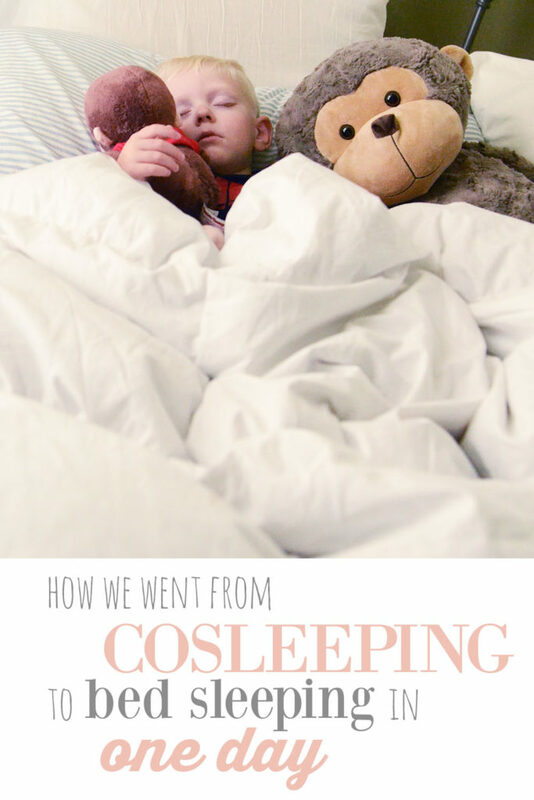 We were co-sleeping at the time, and so I would usually help him go to sleep. Shoutout to all the co-sleeping mamas out there. It’s hard work waiting on your child to be ready to go to sleep on their own. I know. But this trick does work even if you aren’t co-sleeping with a toddler. He was especially active and crazy this week. And, honestly, I dreaded nap time every afternoon. If you’re a mom, you know nap-time is the prize you get in the afternoon for enduring the morning. But to dread naptime. That’s a really really bad situation to be in. All toddlers love playing games. I read something once that explained that toddlers are always the “losers.” They are smaller, shorter, slower, and less-coordinated than everyone else. They have to struggle more than others to accomplish even simple tasks. So, they always love a chance to actually win. My little guy was no different. We played all kinds of “games.” Like playing the game to chase the germs out of his mouth with a toothbrush. Or the game to race mom to the potty. Or the game to see who could pick up the most toys the fastest. Or, in this case, to see who could be the quietest. So, I came up with the idea to turn our naptime into a game. I explained the rules of the quiet game. He was immediately intrigued. We had a round where I lost. It was all fun and giggles as I over-reacted to my loss. We had a round where he lost. And then, we played our last round of the quiet game. You can tread carefully here. My toddler wasn’t afraid of being awake alone back then, but I know that now some mornings when I don’t respond immediately (or soon) he gets worried. So, proceed at your own discretion. The last round of our game, the room filled with silence as we were competing to see who could be the quietest. And then, I started lightly snoring. I had “accidentally fallen asleep.” He tried to get me to wake up, but I just snored louder. And in just a few minutes, you’ll never believe it. The little pretend voice got quiet. And in a few more minutes, the wiggles stopped. And my boy was asleep. Without a fuss. And without a fight. 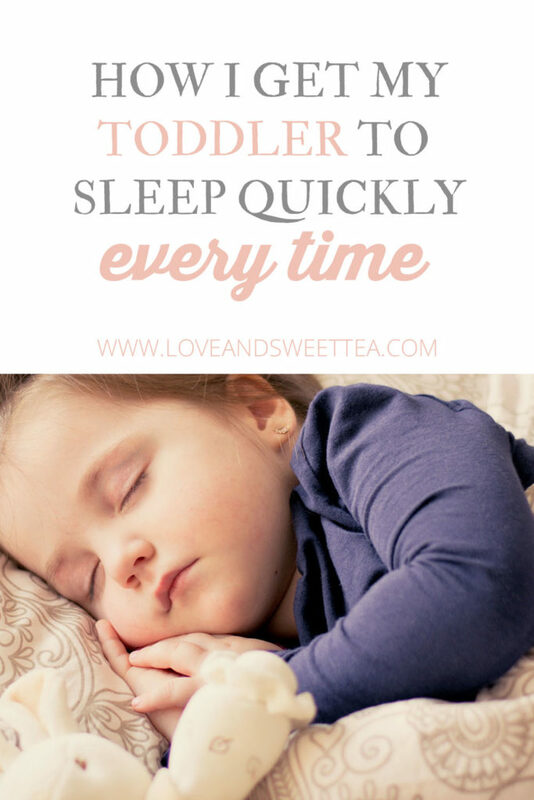 If you’re looking for a more long-term solution, you might want to read this post about how to get your toddler to sleep quickly every time.